Given the wrong children at birth, two sets of parents are left with the overwhelming decision: to exchange their six year-old sons, Keita and Ryusei, re-uniting them with their biological parents, or to choose the child they have raised for six years. Through this tragic occurrence we are given an insight into the lives of the two young boys and their parents. 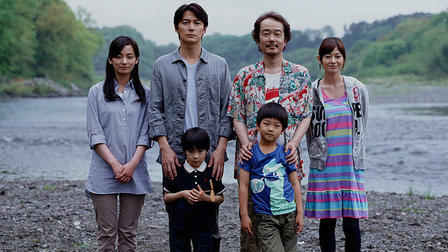 Written and directed by Hirokazu Koreeda, this film features many of his trademarks, from the focus on family and parenthood, down to minute details of small-talk about fireworks, a sense of the passing seasons, railway crossings, and an instantly recognizable “clean” directorial style. We are undoubtedly in Koreeda’s world once again, and that means nothing short of brilliance. This is by far one of the most heartbreaking of his films, as we witness the tortuous decision the two sets of parents have to make. Every character, mothers, fathers, and children is put through the emotional wringer. Towards the end you cannot help but be moved by the situation they find themselves unwittingly in. The film offers plenty of food for thought, with both sets of parents (particularly the fathers) being very different, one strict and work-orientated, the other carefree and family-focused. This allows for an exploration of the nature versus nurture debate, the extent to which our lives are pre-destined dependant on our circumstances at birth, as well as many more discussions of parenthood, and in particular fatherhood. The casting and acting is spot-on, and the two young boys do a great job. Needless to say, as with most Koreeda films, the direction and music lead you through the film’s delicately constructed world, leaving little to complain about. The film does a fine job of giving every character enough time to breath, you feel especially for the mother of Keita, but the real focus is Keita’s father. This hardworking businessman presents a touching portrayal of fatherhood as he struggles to connect with either son. I cannot recommend this film enough. I found it captivating, with believably nuanced characters, poignant story, and fantastic acting. The story of two brothers separated, one in Kagoshima, one in Fukuoka, after the breakdown of their parents relationship. The elder brother, who lives with his mother and in the shadow of an active volcano that regularly showers the town with ash, wishes for their parents to be re-united, and for their family to live together again. The younger brother, living with his musician father, has no such aspirations, being content with his life. Hirokazu Koreeda is a master of the family drama, perfectly capturing the subtle complexities of interpersonal relationships, and provoking sympathy without resorting to overt sentimentality. The story, written by Koreeda, hinges around the ‘miracle’ (which is the Japanese title of the film) that occurs when two Shinkansen trains pass one another. It is said that if you witness this and make a wish, it is sure to come true. While this is the only discernible plot, it is clear that it is only a means to an end, providing a motivation for the characters and a reason for following their lives for this short period. Along the way, Koreeda creates such a full, vibrant, and true-to-life world, that the story soon becomes secondary to the characters. This is emphasised by the direction, which takes us to the heart of the drama. One particularly memorable scene is when the children are telling their wishes to each other. It is filmed in the style of an intimate video diary, creating a sense of realism that the rest of the film also strives to capture. The young actors do a fine job, bringing a youthful energy to their roles and the believable hopefulness and naiveté necessary to tell this story. The two brothers are played by real-life brothers, Koki Maeda and Oshiro Maeda. It is said that Koreeda did not complete the script until the actors were cast and this is apparent from the way each of them seem to perfectly embody their characters. I would give equal credit to both the writing and acting in developing rounded characters, who never fall into cliché. Koreeda films tend to shun typical action and big moments, being less plot-oriented than many others. Instead what he gives you is life itself, without pretence or artifice. Moments of realisation are peppered throughout, just as in life, and his gentle, generally positive outlook on the world is infectious, creating a feel-good film for all. As with other Koreeda films, this feels less like watching characters go through some convoluted plot, but rather it feels like spending time with real people, with their hopes, dreams and fears. Anna is withdrawn and anxious. Isolated from her classmates, she takes solace in her drawings. After an asthma attack her foster mother sends her off to the countryside, believing that the cleaner air will do her some good. 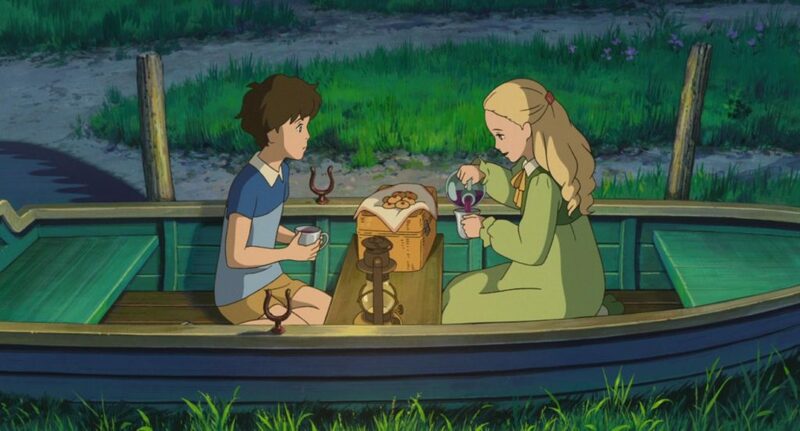 While there Anna discovers a mysterious house and meets another young girl, Marnie, with whom she becomes good friends. The house has been abandoned for a long time and it is clear early on that Marnie may not be real. Dreams, memory and reality are blended together as Anna slowly uncovers the details of Marnie’s past and subsequently reveals something about herself too. The story is based on the novel of the same name by Joan G. Robinson, with the action transposed to Japan. Director Hiromasa Yonebayashi has crafted a beautiful film that will speak to many people. Anna is a character that you are immediately drawn to, though without overly sentimentalising her experiences. She suffers social anxiety, asthma, and we learn early on that she does not smile a lot. This is due to the death of her parents at an early age, something that has left her feeling isolated and disconnected from the world. The film does a great job of showing how she grows and learns to cope with this childhood trauma. The animation is spectacular. From the opening sequence of a busy play park there is a vibrancy and life to everything that happens. As with many Ghibli films the natural world is as much of a character as everyone else. In this film the effects on the sea are mesmerising with the added importance of the sense of receding tides tying into the themes of the film. There were also a number of techniques used to perfectly capture what was happening such as the faces of Anna and Marnie being overlaid at one point to show their similarities. When Marnie Was There is a film about loss and memory, regret and redemption. The themes are subtly introduced in the guise of a mystery story and never overplayed. While it deals with serious issues there is humour introduced throughout, and in the latter parts the character of Sayaka seems introduced purposefully to help counterbalance the tragedy. This is another classic from studio Ghibli. 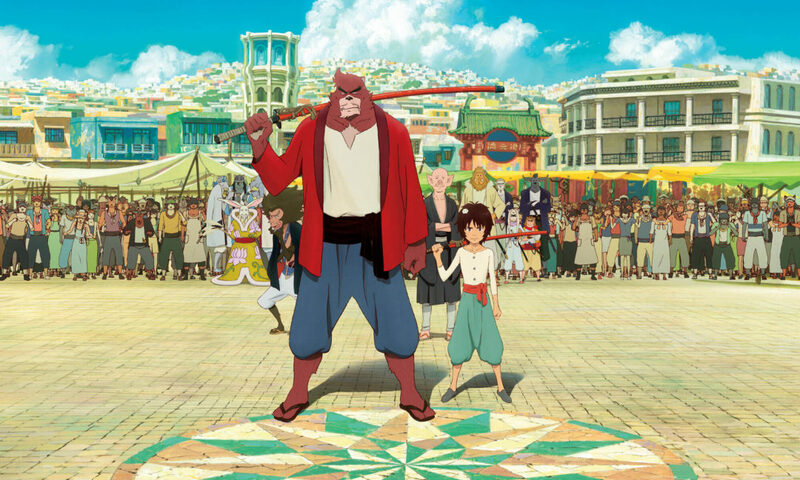 While it lacks some of the whimsy of their more fantastical films, it is a powerful emotional drama that reaches a satisfying resolution.